Syria Daily: Turkey Halting Its Offensive in North? 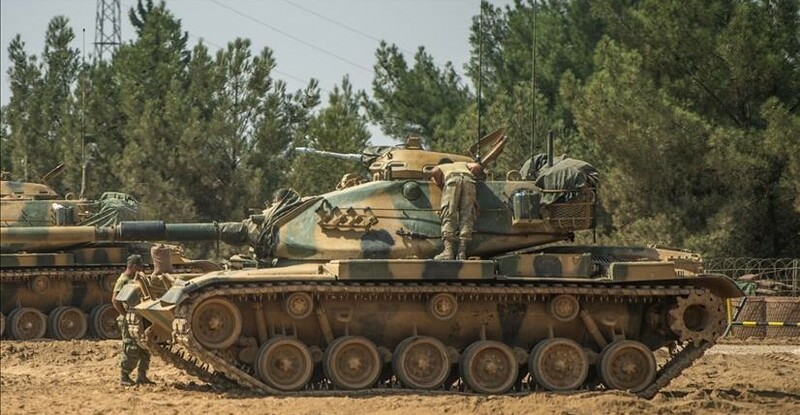 Turkey has announced an end to Operation Euphrates Shield, the Turkish-rebel offensive that has driven the Islamic State from Syria’s border and taken much of northern Aleppo Province since last August. Yildirim said “everything is under control” after the Turkish-rebel forces cleared ISIS out of a 98-km (61-mile) corridor and then moved south, reaching as far as the capture of al-Bab — 30 km (19 miles) from the border and 40 km (25 miles) northeast of Aleppo city — in late February. The announcement appears to end any Turkish hopes of pressing east to take Manbij, held by the Kurdish-led Syrian Democratic Forces, and then pursue an offensive against Raqqa, ISIS’s central position in Syria. Turkish President Recep Tayyip Erdoğan had repeatedly declared his intention for such an operation. Turkey is opposed to any Kurdish presence west of the Euphrates River and consider the Syrian Kurdistan Democratic Party (PYD) and its YPG militia — the leading element in the SDF — to be part of the Turkish Kurdish insurgency PKK. But both the US and Russia put in supplies and troops to bolster the SDF in Manbij, and the SDF added a further obstacle by handing over villages west of the city to pro-Assad forces. After months of hesitation over the Turkish-PYD conflict, Washington has also recently signalled its support for an SDF-led offensive against Raqqa. Yildirim kept Turkish options open, saying that cross-border operations could resume, but offered no further signal of a counter to the PYD/YPG plans. US Secretary of State Rex Tillerson is in Ankara for talks, beginning with Yıldırım on Thursday morning. 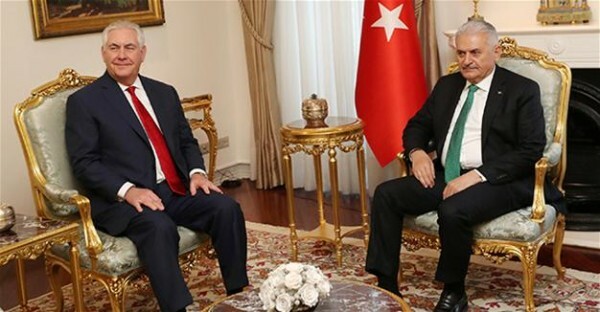 The Turkish Prime Ministry said discussions include the Syrian situation, the fight against the Islamic State, and Turkey’s demand for the extradition of US-based cleric Fethullah Gülen, accused by the Government of organizing a failed coup in July 2016. Tillerson will also meet President Recep Tayyip Erdoğan and Foreign Minister Mevlüt Çavuşoğlu. The Secretary of State is accompanied by Brett McGurk, the lead US official for operations in Iraq and Syria. Reports are circulating of disillusionment and anger among people forcibly displaced from al-Wa’er in Homs city, as they found little or no provision in the town of Jarablus in northern Syria on the Turkish border. The first two sets of displaced, totaling about 4,000 people, were moved to Jarablus in the past two weeks after a capitulation agreement. They were offered the prospect of decent living conditions away from years of siege and bombardment in al-Wa’er. When we were preparing to leave, we were told that everything was available in Jarablus and that it was safe and perfectly well supplied given that it’s under Turkish influence. When we left, we were under the impression that we’d be living in a fully equipped camp, but when we finally arrived, we were shocked. Things are hard, especially given that we’re now living in tents after having been in houses. There are facilities, such as bathrooms that are just outside the tents, but aside from that and our meals, we’re not given any aid. In the city itself, just about everything is available; however, as formerly encircled people, we don’t have the financial means to buy even the most basic things. He said that, “in theory”, he could return to al-Wa’er but “staying means that you could be arrested at any given moment or something far worse”. 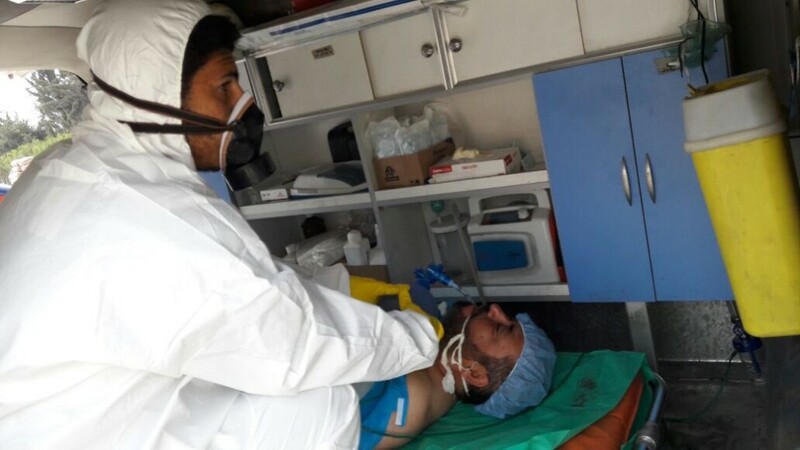 The Assad regime has carried out another chlorine gas attack near Latamneh in northern Hama Province, according to a local doctor and pro-opposition activists. 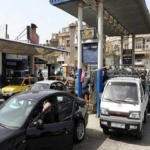 Dr. Mohamed Elwan said about 100 civilians were injured by the gas. Some are in critical conditions. “Local residents are showing symptoms of chlorine gas exposure, including vomiting, dizziness, blurred vision and shortness of breath,” Elwan said. A gas attack on a Latamneh underground hospital earlier this week killed three people, including a doctor who was operating on a patient, and wounded scores. A removals deal has been reached for two regime enclaves in northwest Syria and two besieged opposition towns northwest of Damascus, according to civilian, medical, and military sources. Under the agreement, rebels and some residents will leave Madaya and Zabadani, where a total of about 40,000 people have been cut off since July 2015. At the same time, all residents — about 20,000 — will be moved from al-Fu’ah and Kafraya, north of Idlib city, over a 60-day period beginning April 4. The areas were linked in the “Four Towns Agreement”, an Iranian-brokered deal between pro-Assad forces and the rebel faction Ahrar al-Sham in September 2015. However, the terms for aid have often been violated by the Assad regime. Continuing their counter-attacks against a rebel offensive, pro-Assad forces have reclaimed the village of Arzeh, about 3 km (2 miles) from the outskirts of Hama city. After five days of a counter-offensive, the regime forces have now taken the villages of Arzeh, Kawkab, and Maarzaf. Rebels still hold most of their gains, including the town of Souran. 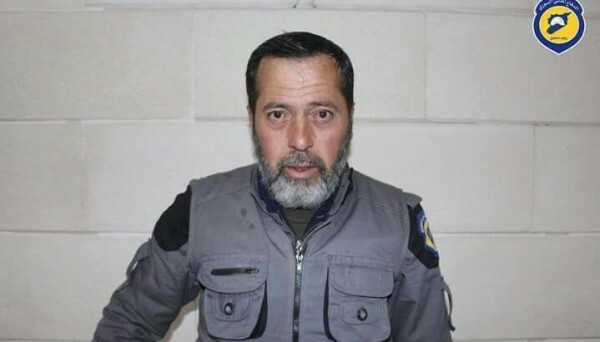 White Helmets rescuer Samir al-Ghanoush was killed on Thursday in a “double tap” strike on the Damascus suburb of Zamalka. Ghanoush is the fourth volunteer slain in the past week, as pro-Assad warplanes continues the “double tap” attacks, in which a second strike targets those who have gathered to help victims of the initial bombing. He is the 170th White Helmet killed since the civil defense organization began operations in 2013. 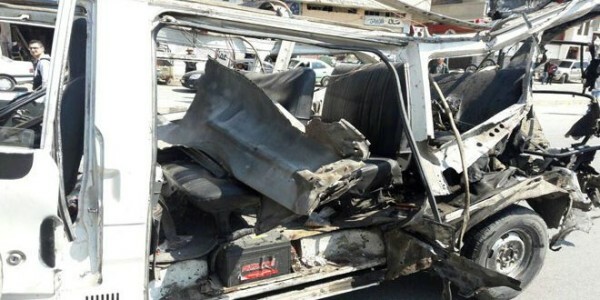 A bomb struck a passenger bus in Homs city on Wednesday, killing five people and wounding six, according to Syrian State news agency SANA. The outlet said the improvised explosive device was on a street in al-Zahra neighborhood. No group claimed responsibility. The Syrian Democratic Forces claim the Tabqa Dam is “working normally” after engineers repaired damage from a US airstrike. A media official with the SDF, led by the Kurdish militia YPG, said spillways are now functioning. Local activists and the Islamic State, which holds the southern part of the 4.5-km (2.8 mile) dam across the Euphrates, said it was in danger of collapse after control rooms were struck last weekend. A subsequent US strike reportedly killed the head engineer and several maintenance crew. The US military and SDF denied there was any “imminent danger”. However, pictures of engineers inspecting the dam on Tuesday were questioned by local activists, who said they were of a facility to the north. The SDF took the northern entrance of the dam, 40 km (25 miles) to the west of Raqqa city, from ISIS during last weekend’s attacks. See Syria Daily, March 29: Is Taqba Dam in Danger of Collapse After US Airstrikes? An opposition delegation met a senior Russian diplomat on Wednesday, pressing for a substantial ceasefire. Pro-Assad ground and air attacks have continued despite a nominal ceasefire declared on December by Russia, Turkey, and Iran, including the seizure of territory near Damascus and bombardment leading to forced displacement from the last opposition district in Homs city. Russian warplanes have been involved in the operations. In the past month, rebels have launched offensives in Daraa in southern Syria, in Jobar in northeastern Damascus, and in northern Hama Province. Despite the ongoing bombing and battles, Deputy Foreign Minister Gennady Gatilov said the ceasefire was “more or less being maintained”, but added, “We need the support and involvement of all parties, including external players, not only the three guarantors but some other countries who also have influence on the parties on the ground,” Gatilov told reporters. However, the other party [the Assad regime] has taken no steps in this regard. We discussed the ceasefire and continuous violations by the regime in addition to the Iranian presence in Syria and the forced displacement taking place in several areas. Indirect talks between the regime and opposition resumed from late January in the Kazakhstan capital Astana and Geneva, but have made no progress.